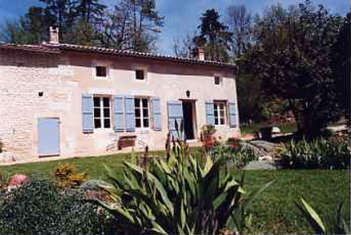 Situated within walking distance of the Charente river and the lively little town of Chaniers which offers all shopping facilities, several restaurants and a post office, Le Logis des Sources is one of the most beautiful 16th/17th Century Charentaise Manor Houses, perfectly preserved from the outside world by a private access lane leading through a belt of dense vegetation. Guests will enjoy the enclosed park of 6 acres with wide lawns, old trees and romantic fishponds, the tennis court (sand cover) and the 12 x 7 m swimming pool. 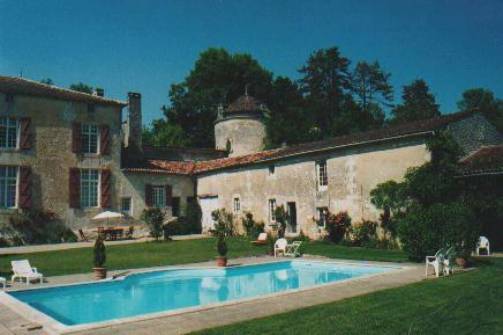 The property is less than 10 minutes drive from the centre of Saintes and the Paris-Bordeaux motorway, 30 minutes from Cognac and the Atlantic coast (Royan, Île d’Oléron, Rochefort) and 60 minutes from La Rochelle and the Île de Ré. 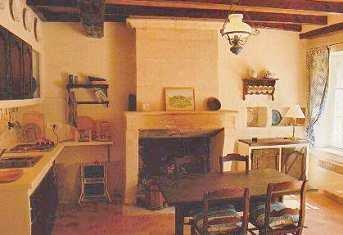 The gîte has been newly created from the former housekeeper's house and offers all the comfort you could want in an atmosphere of peace and timeless beauty. Its separate entrance gate, parking and BBQ areas ensure privacy and independence. All rooms are equipped with electric heaters to make it suitable for winter holidays. For music lovers, an electronic piano can be provided. Swimming pool and park are shared with the owners who are on site throughout your stay to make it as comfortable and relaxing as possible and to assist with any enquiries (in English, French and German). 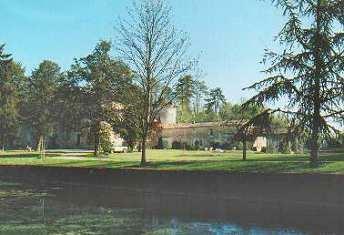 You can stroll throughout the park, picnic under the century old trees or around the romantic fishponds, feed the wild ducks or go wandering or fishing along the nearby Charente river.